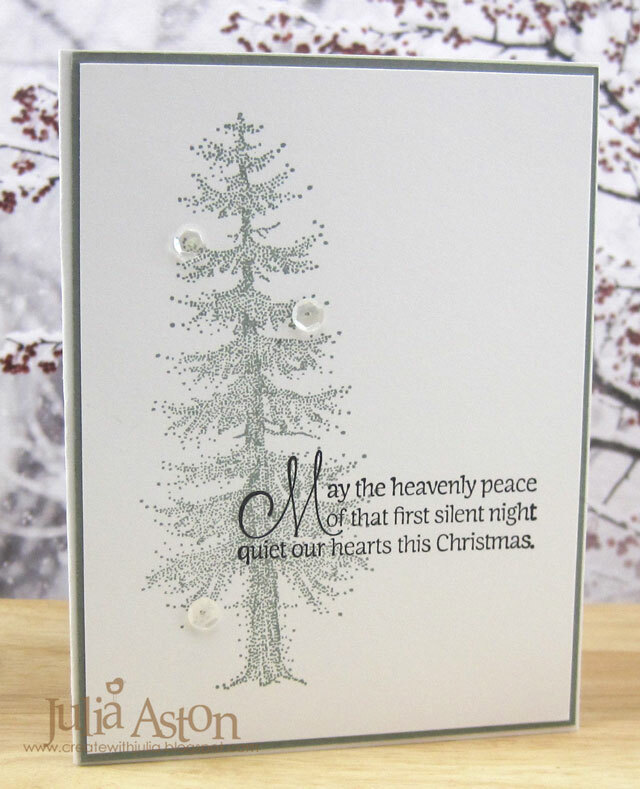 I work on my Christmas cards all year long so I have a box full when the season rolls around - one less stress right?! 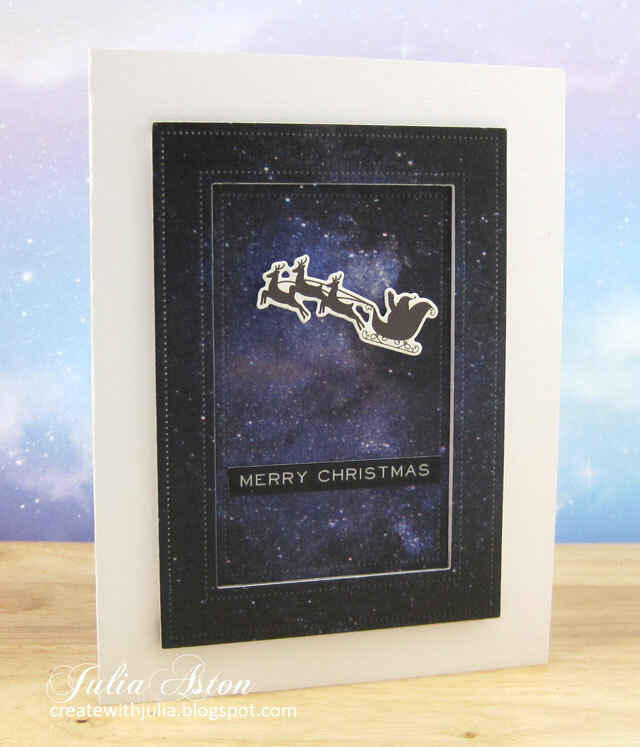 So today I made a card with Santa and his reindeer flying through interstellar space on Christmas Eve! 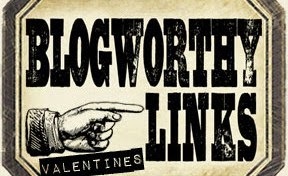 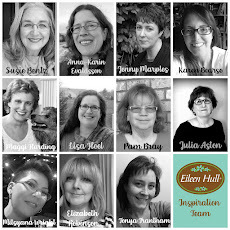 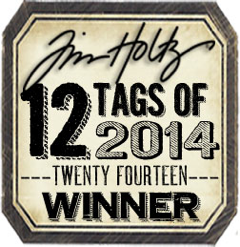 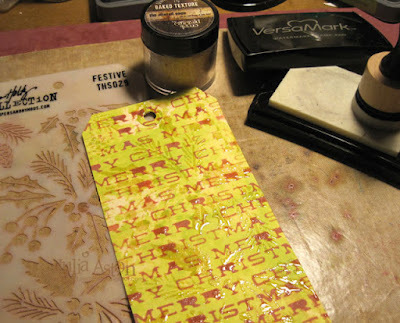 I used a wonderful 4 1/2" wide Galaxy washi tape from Altenew for the background. 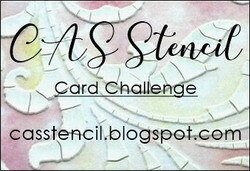 I adhered the washi tape to a 4 1/4" x 5" panel of white card and then die cut it with Pierced Feature Frames: Rectangles. 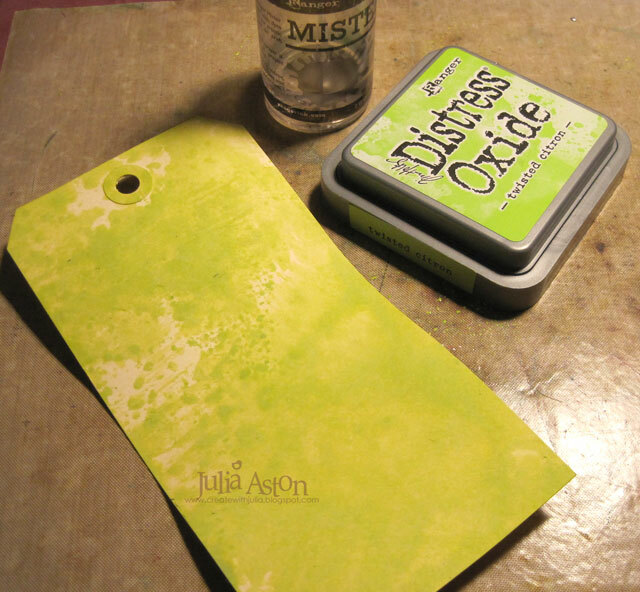 I find that sometimes washi tape will peel off if it's not wrapped around the edge - so cutting it with this die with the stitched edge holds it on to the panel! I adhered the outside of the frame to the card base with foam dots and adhered the inside piece recessed inside the frame. 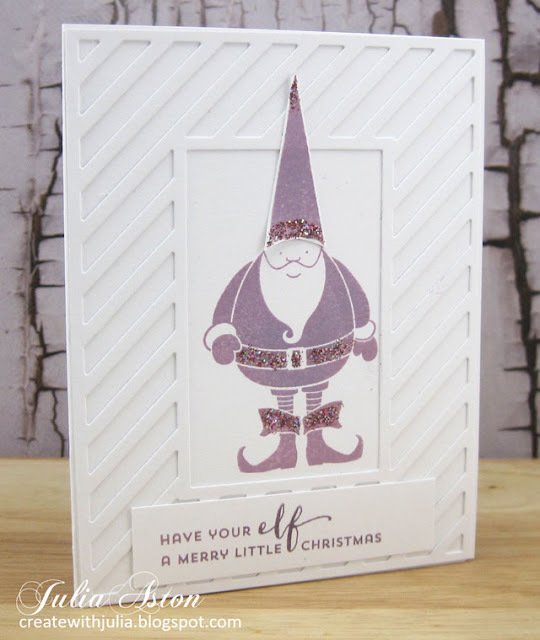 The Santa in his sleigh is from the Make it Market Kit Fairy Tale Christmas from PTI and is layered over the galaxy with foam dots. 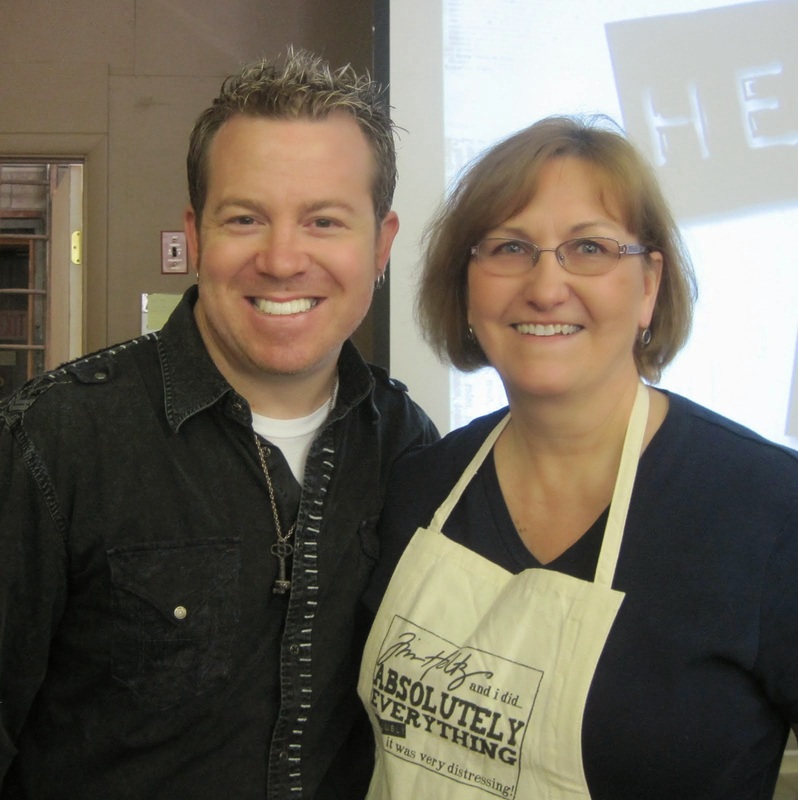 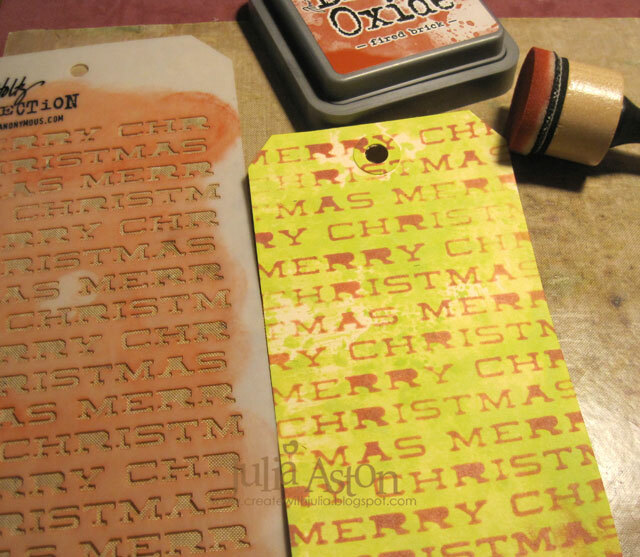 Then I added the sentiment - a Metallic Sticker/Holiday Talk from Idea-ology. 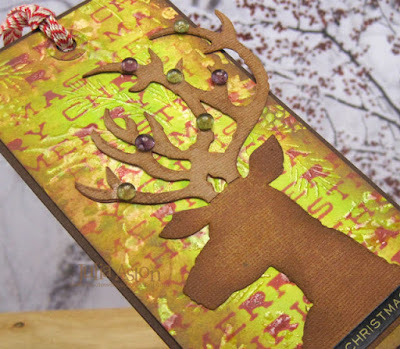 Accessories: Pierced Feature Frame Dies - PTI, Santa on sleigh from Make it Market Kit Fairy Tale Christmas - PTI, Galaxi Washi Tape - Altenew, foam dots, ScorTape, Metallic Stickers/Holiday Talk - Idea-ology. 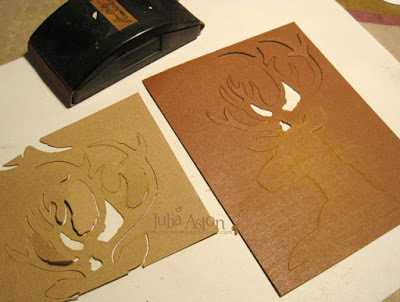 Yes, I'm starting to make my Christmas cards already! 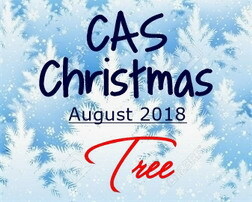 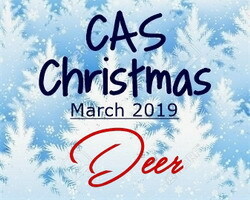 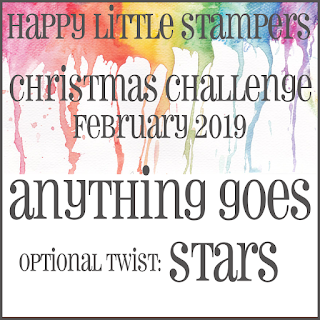 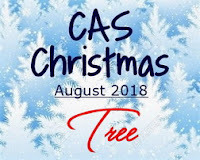 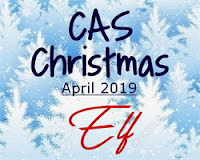 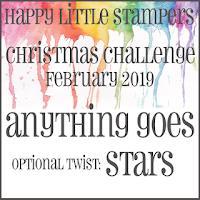 And today I'm joining in with the CAS Christmas Card Challenge to help me do that! 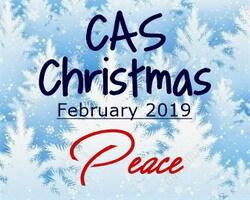 This month the theme is PEACE. 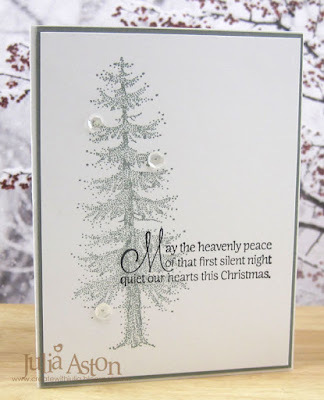 So I pulled out this lovely Heavenly Peace sentiment from Impression Obsession and this beautiful tree stamp from Rubbernecker and created this card. 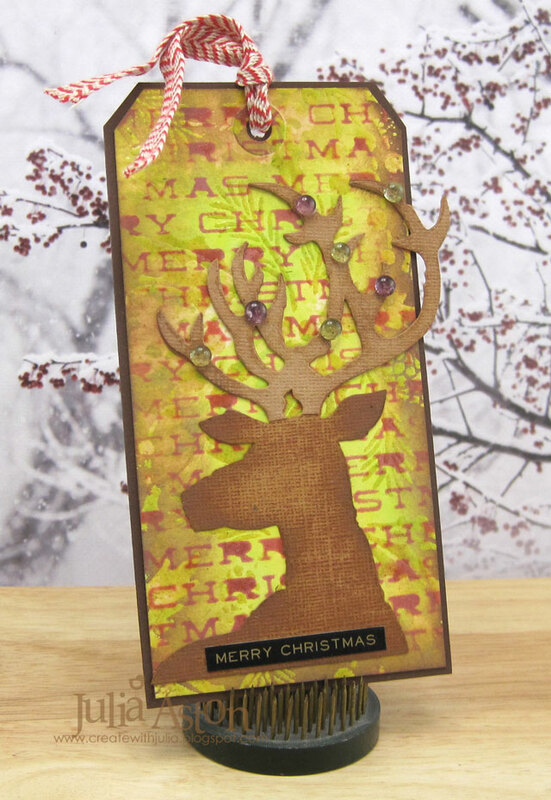 And since it was so easy, I made another one with the same supplies, accept this time I die cut the stamped panel with a Pierced Feature Frame: Rectangle Die from PTI. 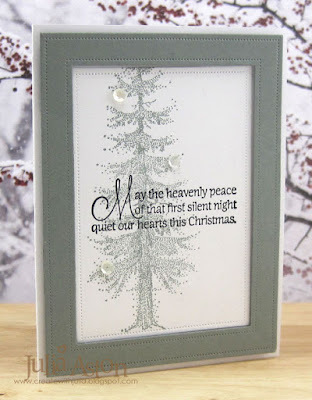 I had to place the sentiment higher on the tree and lost the top of the tree using the frame die but I love them both! And now I have two more Christmas cards to add to my box! 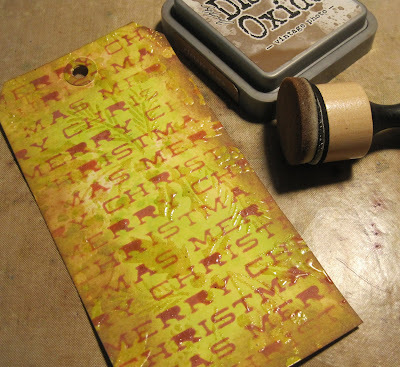 Stamps: 3 Pine Tree Set - Rubbernecker Stamps, Sentiment #C13153 - Impression Obsession. Ink: Stormy Sea - PTI, Hero Hues Black. Accessories: Winter Blend Sequins - Avery Elle, Tombow Glue, Pierced Feature Frame: Rectangle die - PTI. I've got another card made for my Christmas Box! 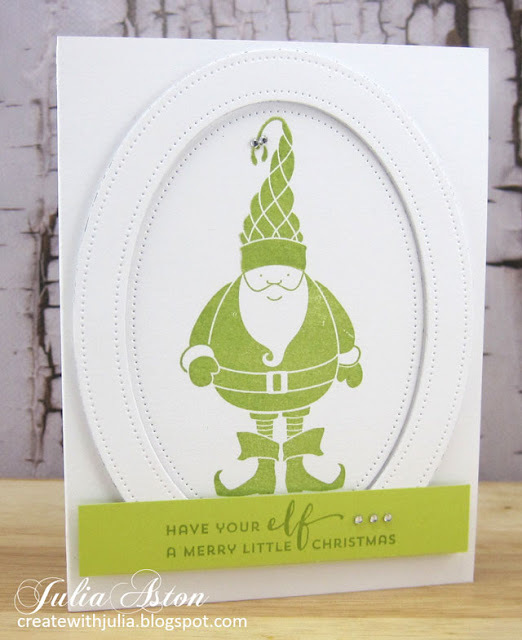 Clean and simple - just some layered die cuts out of water color paper (it gives a subtle texture to a card!) 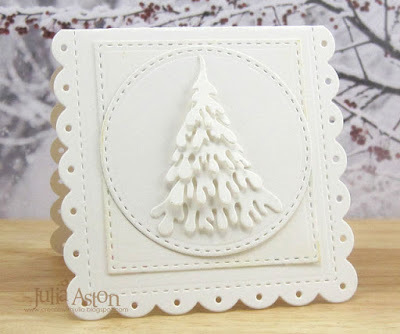 The base dies are Noted: Scalloped Square from PTI and the lovely layered tree is Snow Covered Stacker Tree by Dee's Distinctively (this may be retired but I found it here on Amazon.) It's a small card measuring 3 3/4" square. I've left it plain on the outside and stamped a Christmas sentiment inside. 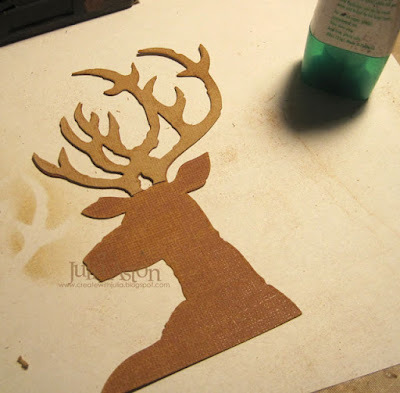 Accessories: Noted: Scalloped Square Dies - PTI, Snow Covered Stacker Tree Die - Dee's Distinctively, foam dots.